There are many drug and alcohol rehab facilities in Texas and many are excellent treatment centers. However, we have discovered that not only does reaching out across state borders help find you the perfect fit, it also helps increase your chance of remaining sober once you are out of treatment. We deal with many different types of treatment programs to help fit your needs, such as 12 Step programs, Holistic programs, Christian-based programs, and more. Our drug and alcohol rehabilitation service can help you analyze your treatment center options and find treatment in Texas or elsewhere. Texas, like many other states, finds that the most commonly abused drug in Texas is marijuana. Most of the marijuana found in the states are brought in from neighboring Mexico but there are also domestically cultivated crops which are available. A lot of people think that marijuana is harmless but its danger lies in the fact that it often is the first step leading to more dangerous and more addictive drugs. Most addicts admit that their drug experimentation began with the use of marijuana. Methamphetamine is pure and affordable and heavily abused in the state. Most of it is imported from Mexico. Prolonged use of methamphetamine can cause permanent brain damage and it is very important to get into treatment as quickly as possible. There is a wide market for the use of pharmaceutical drugs like oxycodone, hydromorphone, hydrocodone, and alprazolam. There is the even abuse of cough syrups like codeine. Often times these are obtained by doctor shopping, hospital theft, fraudulent prescriptions, or pharmacy break-ins. The most popular form of heroin that is abused in Texas is the Mexican black tar variety. Heroin, like most of the pharmaceutical drugs, is an opiate and as such, someone addicted to an opiate must have a medically supervised detox before entered into treatment. While some facilities do have a detox program available on the premises, most do not. Sober Solutions can help you to coordinate the various aspects of treatment that are needed to make sure you get the safest and most effective treatment available. To find out more specific information about particular addiction treatment programs in Texas, click here. There are many different types of drug and alcohol rehabs in Texas for residents to choose from. The majority of treatment centers are located in the Houston and Dallas area. Sometimes, the process of finding the right rehab can be challenging. Is a Texas treatment facility in my hometown an ideal solution if there may be more effective programs elsewhere? 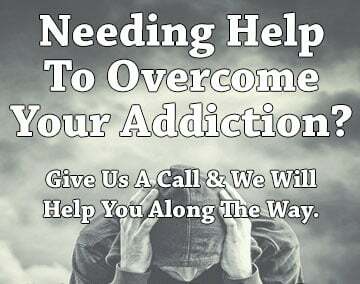 Let us assist you in finding the best drug rehab treatment center available in Texas or another state.